he Compact Power Plus is the pellet boiler certified for the thermal account with 5 environmental stars and was created to meet the needs of those customers who want to comfortably enjoy the right comfort, heat and hot water. Thanks to the fully automatic systems, it requires a very low frequency of cleaning. The Power Plus can be installed in technical rooms, cellars or garages of homes or civil buildings in general. 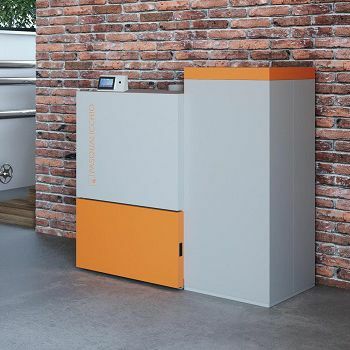 It is available in various powers, up to 100kW. ✓ Automatic tube bundle cleaning. ✓ Automatic brazier cleaning for removal of unburnt parts. ✓ Large ash collection drawers. ✓ Adjustment system by means of lambda sensor, control unit. 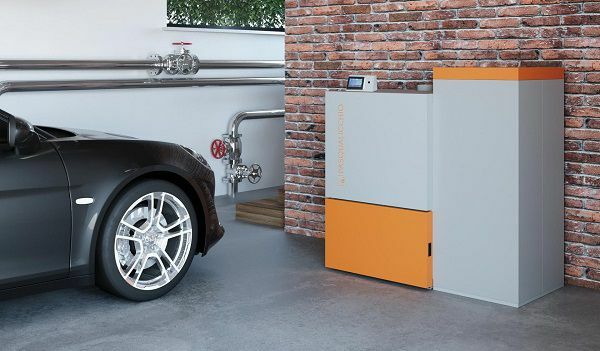 ✓ Automatic control of primary and secondary combustion air. ✓ Continuous control mode (modular motor inverter). ✓ Management with touch-screen display. ✓ Silent variable speed extraction fan. 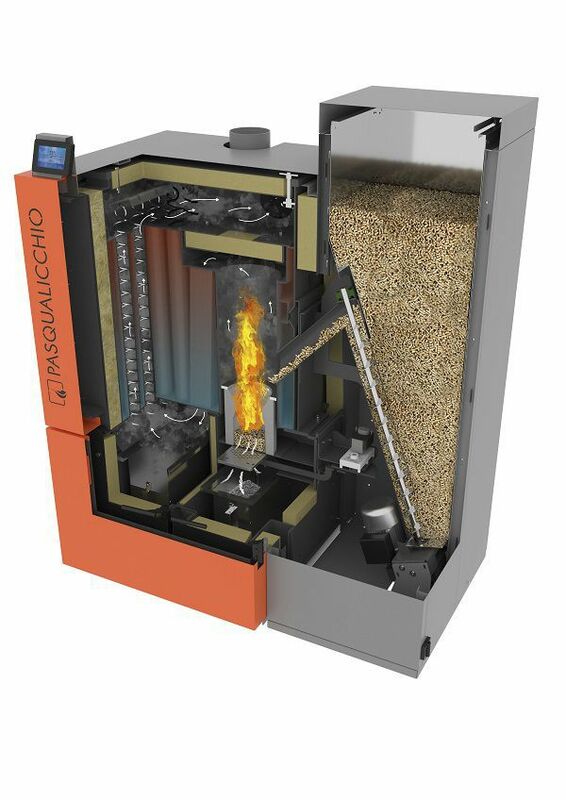 ✓ Complete insulation of the boiler body for maximum thermal efficiency. ✓ Safety system with fire damper.